Here's an update on real estate market activity in single family homes. Find a great school and get lots of useful information to help you decide if it is the right one for your student. Madison County is a county located in Idaho's Upper Snake River Valley. Named for James Madison, the fourth president of the United States, was established February 18, 1913 with the county seat at Rexburg. Even in the face of dwindling resources everyone will do their best to prepare our students for success. District 91 is located in Idaho Falls, Idaho (population 55,000). About 600 teachers educate 10,400 students in the two high schools, three junior high schools, twelve elementary schools, and one alternative school. We have a list of Idaho elementary schools below by city. Choose the appropriate city from the Idaho elementary schools list to view all public elementary schools and private elementary schools in that city. North Idaho College provides quality educational opportunities that expand human potential and enhance the quality of life for the students and the communities it serves. The mission of Blackfoot School District No. 55, in partnership with the community, is to prepare students for the future by enabling every student, to become responsible contributing members of our changing world. We hope you find this site to be user-friendly, interesting and informative. We consider the internet to be one more facet in an array of methods we use to communicate with parents, students and the public in general. The mission of Lakeland Joint School District is to provide a quality education, empowering all students to achieve success. The Kellogg School District is a partnership of students, parents, educators and community members committed to ensuring a safe, nurturing environment where students are challenged. Integrity will be a theme carried throughout the school year. The Buhl School District offers great curriculum, highly qualified teachers, professional support services and the intangible benefits of smaller schools and small-town life. The Post Falls School District recognizes that our rapidly changing world and society have placed new challenges upon the education system. We must meet the challenge of preparing students for the future. The Pocatello/Chubbuck School District is home to 14 elementary schools, 3 junior high schools, and 3 senior high schools. Emphasis on thorough academic preparation. The Boise area has a thriving job market and low unemployment. Chobani was founded on the belief that people have great taste. They just need great options. That’s why we started Chobani back in 2005 — to make high-quality, great tasting yogurt made with only natural ingredients available to the masses. Sure, a lot has changed since then. The Museum of Idaho is Idaho's premier national traveling exhibit museum and is dedicated to preserving and showcasing the natural and cultural history of Idaho and the Intermountain West. Cradled in the western slope of the Teton Mountains, our full-service, year-round resort promises you the vacation of your dreams. We have two mountain peaks with over 2,500 acres of skiable terrain. Pomerelle Mountain Resort is a relaxed, fun-filled, personalized day resort nestled in the Sawtooth National Forest. It offers groomed ski runs and caters to family oriented ski/boarding enjoyment. We are constantly striving to improve the Trail for eveyone's use and enjoyment. The Trail presently runs from the Idaho/Washington stateline, 23 miles to just east of Coeur d' alene at Higgins Point. For some golfers the peaceful natural beauty at StoneRidge, set amid northern Idaho’s thick conifer forests and blue mountain lakes, is the reason they keep coming back.For some golfers the peaceful natural beauty at StoneRidge, set amid northern Idaho’s thick conifer forests and blue mountain lakes, is the reason they keep coming back. Hidden Lakes Golf Resort in the Panhandle of North Idaho, Sandpoint, recognized as one of the most scenic golf courses in the Northwest, has recently undergone many enhancements. The Targhee National Forest is an administrative unit of the Department of Agriculture, Forest Service, encompassing 1.8 million acres. At Lookout Pass, were committed to providing you and your family with a great skiing experience. The snow comes early. It snows regularly. With a dazzling view of Lake Pend Oreille, Schweitzer Mountain Resort lies high in the Selkirk Mountains, where abundant snowfall buries the slopes in more than 300 inches of delightful white snow annually. Located on the north-facing slopes of the scenic Bitterroot range, Silver Mountain is blessed with 350 inches of powder annually with diverse and challenging terrain. Pebble Creek is a vertical playground that attracts skiers of all abilities. Located 20 minutes south of Pocatello in the Caribou National Forest. This eastern Idaho resort founded in 1957 features intermediate terrain, a ski school, equipment rentals and four lifts serving 640 skiable acres. It provides the only night skiing in eastern Idaho. Located north of Salmon on U.S. Highway 93 at the Montana border, Lost Trail ski area has excellent intermediate runs and trails. This ski area is well known for its consistent good base and light snow. The Flicks theater provides alternative films in Boise. Get their latest movie schedule, video store selection, cafe menu and scope the upcoming events. Get coupons from their site, book a party, learn how to give gift certificates, browse their job opportunities, and more fun stuff. Beyond the wall of the unreal city... There is another world waiting for you. It is the old true world of the desert, the rivers, the mountains, the forests, the open plains. Go there! Since 1983, the non-profit Festival at Sandpoint has hosted its internationally renown summer concert series in a casual and relaxed atmosphere at Memorial Field, in Sandpoint, Idaho. Welcome to the historic Panida Theater located in beautiful Sandpoint, Idaho. World wide hunt booking services - your journey into adventure starts here! The Coeur d'Alene Visitor Bureau is the official tourism organization for the Coeur d'Alene area. Welcome to the new agency Website of the Idaho Department of Commerce & Labor. Our Chamber is a very proactive group working hard to promote our business community. The Madison County Sheriff's Office is devoted to serving and protecting all of Madison County. Are you registered to vote? Check here. Here the heritage of the past meets the challenge of tomorrow, and the gateway opens to the multitude of recreational opportunities. Gateway to the Coeur d'Alene and St. Joe Rivers, this city offers incredible views, small town values, great fishing and a world class trail for hiking, biking and rollerblading. The communities of Hayden and Hayden Lake are located in the beautiful panhandle of North Idaho in Kootenai County, one of the fastest growing counties in the state. Hauser is the junction of the main line with the Coeur d'Alene branch of the Northern Pacific Railroad. It is twenty-one miles east of Spokane. Whether you are visiting in person or online, you will immediately notice our beautiful setting. Mountains with ski hills, wide, lush valleys and crystal clear Lake Pend Oreille, the largest lake in Idaho. Our vision of Coeur d'Alene is of a beautiful, safe city that promotes a high quality of life and sound economy through excellence in government. In the 1860's and early seventies, prospectors and gold seekers crossed a large meadow on the Camas Prairie on their way to the Gold Fields near Florence and Elk City. That meadow later became the incorporated City of Grangeville in 1889, and in a few short years gained the designation of the County Seat of Idaho County in the election of 1902. This website provides a cost-effective way for our county to provide information and communicate with our constituents. We welcome your feedback about ways we can serve you better through these pages. Mayor's Message This is a time to help. Lewiston, Idaho is located at the confluence of the Snake and Clearwater Rivers at an elevation of 738 feet above sea level. To administer the state's tax laws in a fair, timely, and cost-effective manner to benefit all Idaho citizens. We encourage you to participate in your City government and community events. By working together we make our community a better place to live. The Port of Lewiston was formed in 1958. Gooding Idaho is an friendly little city in Southern Idaho that is a perfect place to live and locate your business. We have friendly businesses, great recreation and wonderful schools. Let us show you around! The Wendell Chamber of Commerce encourages businesses to promote and support each other, shop locally in our community and give back to the local people who make our businesses successful. The Coeur d'Alene Chamber of Commerce is the premier business organization in the Coeur d'Alene area. BONNERS FERRY -- Cynics have declared for years that small town charm and hospitality in America is a thing of the past, that it has gone the way of the horse and buggy. We’re located in the northern panhandle of Idaho in a land of magnificent lakes, mountains, forests and vibrant communities. Priest River is a small town that enjoys clean air, clear water, and plenty of recreational opportunities for the outdoor enthusiast. Incorporated in 1972, the Bonner County Historical Society operates a 7,500 square foot museum located in Sandpoint's Lakeview Park. The NIHN responds to the healthcare needs of individuals and businesses within these communities. Our goal is to provide a positive and supportive impact on the community through volunteerism, scholarships and grants. Whether you are being transferred, waiting for your new home to be built, or just visiting Boise Wolff Corporate Housing will make your stay stress free and comfortable. 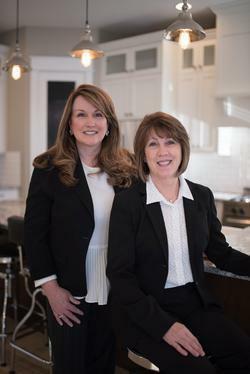 Established in 1995, Twin Falls Title & Escrow Company services the needs of realtors, lenders, attorneys and property owners in Twin Falls County. Time is money. We save you both by providing a complete portfolio of new collection escrow account documents at your fingertips. Its fast, flexible and efficient. Meridian Charter High School employs the best practices and innovations of today, and tomorrow, to provide a progressive educational experience for every student. We envision the lifelong application of learning, coupled with intelligent risk taking, to challenge and encourage participation as a productive member of the community and global society. Find Household Moving Companies and Save! Save 80% When Household Movers Compete For Your Move! Tri State Electric has extensive experience installing electrical systems in a variety of facilities, including government installations, airports, parking facilities, high tech manufacturing, computer facilities, hospitals, schools, commercial/retail/office complexes, food processing, industrial, institutional and residential. Tri State Electric also provides preconstruction services and design-build capability. Lakeshore Landscaping and Nursery as the name implies, provides both landscaping and full nursery services and products. Our tree farm and greenhouse specializes in plants that prosper in the Treasure Valley Area. Hillside Nursery is a full range landscape and irrigation company with many capabilities. With our commitment to quality and positive customer relations we have been fortunate to serve the Treasure Valley since 1973. Sterling Landscape Architects design their landscape projects to express the unique requirements of each client. Simply the best whole home holistic solar solutions! More than just affordable solar thermal we can develop an energy strategy to help your whole home and cut energy costs! Near McCall, Idaho, three major groups of Idaho rocks border one another; Granite of the Idaho batholith, flood-basalt flows of the Columbia River Basalt Group, and metamorphosed island-arc Sedimentary and volcanic rocks of the Seven Devils Group.